Chances are, you are like many of us and have a box of old vinyl “golden oldie” records and albums in the back of a closet. Or, you may be interested in collecting them. 1. Forget about the easy listening, swing era big bands, opera, classical and show tunes records. Lawrence Welk, too. Sellers may each have a different focus, but most buyers look for jazz, pop, psychedelic, rock, new wave, blues and early country, mostly from the 1960s and later. Hip hop full lengths are harder to find than singles, also a good find. Check out record bins at thrift stores but what you see there is probably not what sells at a record store or online. (M) Mint – Perfect in every way. Record has never been played and is usually still sealed. 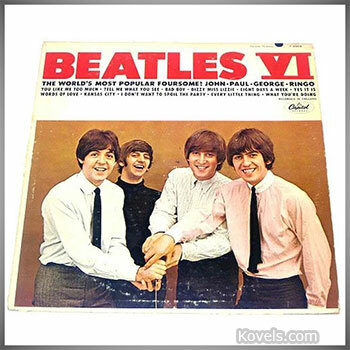 (NM) Near Mint – Opened; the record looks glossy and as if it has only been played a few times. There are no marks and the whole record package is complete. (E) Excellent – Opened; Very light marks or small signs of use. (VG+) Very Good Plus – Opened; has been played and might be a bit scuffed but has nothing major that affects sound. Cover shows some wear. (VG) Very Good – Opened; has signs of use. You can still listen to it and enjoy it but is visually and audibly used. (G) Good – Is actually closer to “not good.” Scuffs, scratches, slight warp, a skip here and there but listenable. A seller or buyer may not be interested or only at a bargain price. (P) Poor – Warped, scratches, cracked. Listening is difficult – it skips, repeats. 3. Examine the record. Look at it from various angles under a good light. Is it glossy? Warped? Are there marks on the vinyl? Look for needle wear, scratches, bubbles or other defects caused by use or heat. Look at the label – is it scratched or marked? Make notes about faults for your description. 4. Spin the record on a turntable and check again for warping. Try to listen to it from start to finish or at least a few tracks. How does it sound? Make notes. 5. Collectors and sellers often grade the sleeve and the record separately. Look at the sleeve for damage, wear, rips, creases and dirt. A clean, damp cotton cloth and a clean soft white eraser may remove some grime and marks. 6. Do you have “extras” that might have come with the record – liner notes, lyric sheets, posters, photos? They are coveted by collectors. What is their condition? 7. The better the shape vinyl records and their packaging are in, the more desirable they are. So . . .
a. Store them vertically – don’t lay them flat; it causes warping. b. Store them in a cool, dry place and avoid temperature extremes and humidity. c. Keep them in their sleeves. d. Use a storage container that can handle their weight. The record album pictured here is "Beatles VI," Capitol Records, 1965. It's not "graded" but it plays well. It has some shallow scratches and the sleeve has rub marks and some tape. It sells for $40 online. I have 34 original LPs of the Elvis Presley album collection for sale. All albums are in near mint condition. All in original album covers, covers show some wear. Most have sleeves. None of the posters that came with some of the albums are included. Label colors are blue, orange and black. A list of album titles can be supplied, if interested. I have 3 "Capital Records" "Nursery Rhymes" sung by Ken Carter from the "Sons of The Pioneers". They are 10" 78 RPM's and are about 1945-50 unbreakable vinyl. Can somebody give me a price, they are in "good" shape and have been used for three children, from 1945-50.